“An important implication of this research, as reflected in several papers our group has published recently, is that essential interventions that promote the success of underrepresented minority and women PhD students in STEM fall mainly in the realm of academic culture, and do not necessarily require the investment of major resources. These interventions benefit all students, along with students who have been traditionally underrepresented in the STEM fields,” said Richards, a UC Berkeley professor emeritus of earth and planetary science who became provost and executive vice president for academic affairs at the UW in July. The interventions identified in the study are especially relevant to the success of black graduate students, who are publishing at lower rates than their peers, Fisher said. While white, Asian and underrepresented minority males and females in STEM fields recruited for the study at the four campuses were found to have published at roughly equivalent rates, black graduate students were nearly three times less likely to have published a paper in an academic journal. However, when accounting for black students’ perceptions of departmental structure and sense of preparedness and belonging, the statistical model used in the study shows that this racial disparity may be due in large part to negative experiences associated with being a minority in otherwise white settings. 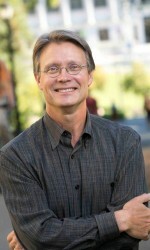 Among the new efforts underway under Berkeley’s leadership is the Research Exchange, a national consortium of nine universities made up of the four California Alliance campuses as well as Georgia Tech; Harvard; the University of Michigan; the University of Texas, Austin; and the UW. The Research Exchange facilitates inter-institutional visits for advanced underrepresented graduate students from these nine top-tier institutions to expand their visibility and experience when applying for elite postdoctoral and faculty positions. The UW has long been committed to increasing the number of women and underrepresented minorities in STEM fields and was one of the original National Science Foundation ADVANCE grant recipients that developed a host of interventions to make the campus climate more welcoming for both students and faculty from these groups. The newly published study was conducted through the UC Berkeley-led California Alliance for Graduate Education and the Professoriate (AGEP), a partnership of UC Berkeley, UCLA, Stanford and Caltech that seeks to boost the ranks of underrepresented minorities in STEM fields among the graduate students, postdocs, and faculty at research universities. Previous research published by UC Berkeley members of the alliance, which was launched in 2014 with a $2.2 million grant from the National Science Foundation, found that underrepresented minorities publish in academic journals at significantly lower rates than their majority counterparts, placing them at a disadvantage in competing for postdoctoral and faculty positions. “Publishing in academic journals is a key predictor of future success in academia, which is why our research is so concerned with this often-neglected indicator,” Richards said. In addition to Fisher and Richards, co-authors of the paper are Rodolfo Mendoza-Denton, Colette Patt, Ira Young and Andrew Eppig of UC Berkeley; Robin Garrell of UCLA; Douglas Rees of Caltech; and Tenea Nelson of Stanford University.